When Carrie Anderson decided to send her 4-year old son Pierce to a German Kindergarten after the family’s move to Stuttgart from Alexandria, VA, she knew that he would be in for a completely different experience than his older brother had going to pre-school back in the U.S. German children attend Kindergarten from ages 3 to 6. But unlike in the majority of U.S. preschool or kindergarten classes, most mainstream German institutions do not teach formal skills like reading, writing and math. In the country where Kindergarten was invented, the focus is on playful learning and exploring. At Pierce’s German Kindergarten, the children are in mixed-age groups from 3 to 6. After each groups has had its daily morning gathering, children are free to pick and choose their activities, even if that means leaving their own group and joining children in another room. On a regular day, the children spend a good part of the day on the outdoor playground. On other days, the teachers take them on excursions to forests and parks. This is quite the opposite of how Pierce’s older brother Jack spent his days when he was Pierce’s age. Back in Alexandria, VA, the now 7-year old boy attended a private pre-school with ambitious learning goals. The school day was broken up in 2 hour-long school sessions, during which the children wrote letters and learned to count and add, interrupted by 30 minute long breaks. And after the school day ended at 4 pm, there was homework to do. It was tough even for U.S. standards, Anderson said. “But he was proud of what he learned and really seemed to thrive.” At the international school that he now attends in Stuttgart, his writing and math skills made his integration easier. Her younger son will be in the opposite position when the family moves back to the U.S. in a few years from now. He will transition from his play-based German Kindergarten into a U.S. school system that expects children to be able to read and write before they even start regular school. When Kirsten Schlenke’s family moved from Bonn to Washington, D.C. two years ago, she picked a play-based private pre-school for her now 6-year old daughter Gina. Unlike in the public pre-schools in the city, children did not learn to read and write there, and coming out of the German system, Schlenke felt more comfortable with this approach. She acknowledged that after Gina started regular school last fall, her daughter has lagged behind her classmates who already know how to read and write. “But it doesn’t bother her, and I also believe that she will eventually catch up,” said her mother. “Pre-school and kindergarten in the U.S. have become the place where the work begins,” said Lisa Fiore, an early childhood education at Lesley University in Cambridge, and a critic of the dominant trend towards early academic learning in the U.S. “We need to get out of that competitive mode,” she said. As far as Kirsten Schlenke is concerned, there was certainly no lack of structure at her daughter’s Washington, D.C. pre-school. “It was very free and play-based for U.S. standards, and my daughter loved it there. But compared to her previous German Kindergarten in Bonn, things were quite regimented,” she said. She noted that the American teachers were more involved in every child’s decisions, such as which activities to pick, and that they strictly monitored behavior. Both German mothers said they were surprised that the American teachers would intervene immediately if two children got into a fight – quite the opposite to the German approach which tends to be to let the kids work things out for themselves. “In Bonn the children were encouraged to discuss their positions and find a compromise. Over here the teachers just go in and say: ‘Let’s be nice to each other.’ To me, this feels like glossing over the problem,” said Schlenke. When Carrie Anderson’s son made pumpkin soup with his Kita group in the fall, she was pleasantly surprised that the kids were using knives to cut up the pumpkin. Across the Atlantic, Steffi Gehrke’s son Ben and his classmates watched the teacher hollow out the Halloween pumpkin. So even though the benefits of the different pre-school systems may be hard to compare – here is one skill at which Pierce will likely excel when his family moves back to the U.S.: He will be able to carve up his own pumpkin for Halloween. This break was much longer than planned. Last year, the Flying Carpet flew back to Germany. Unlike my move to the US eight years earlier, my grandmother’s carpet did not just carry me and my two suitcases across the Atlantic. However, I’d like to believe it helped transport our entire household–me, my American husband, our American-born son, our dog, and lots of furniture, clothes and other stuff. Not even the West Texas wind can compete with the deep hum of the oil rig. Its white and red pole punctures the pale blue sky. The platform is surrounded by trucks and containers. A giant metal rack holds pieces of pipe, several hundred of them. They will be used to frac’ the well and to transport the oil to the surface from more than 10,000 feet underground. Sperm is a simple commodity compared to the much more delicate product that is traded on the second floor of the building that houses the Fairfax Cryobank. Oil paintings with flower motifs decorate the salmon colored walls of the Institute for IVF & Genetics. 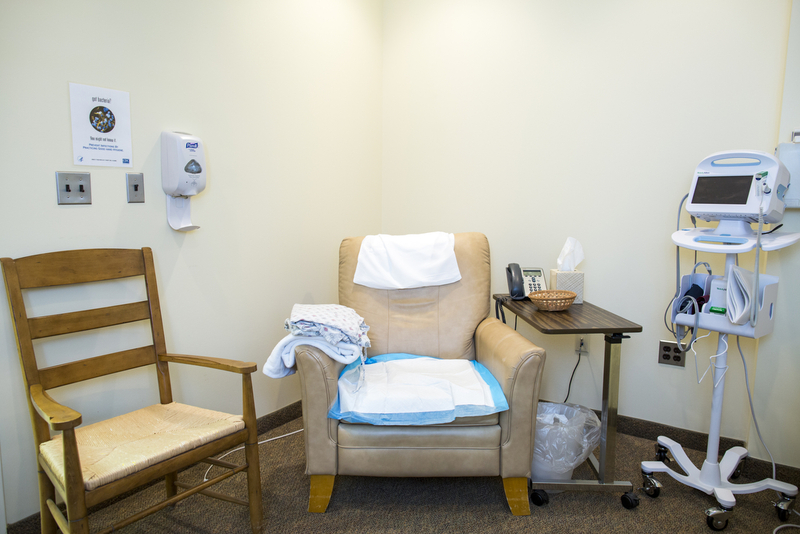 The donors and recipients of egg cells recover from their procedures in waiting rooms with comfortable wicker chairs and magazine selections displayed on white dressers. The basement of the Cryobank in Fairfax does not look all that different from a hobby brewery. Except that the stainless steel barrels don’t contain beer but nitrogen. They feed big white tanks to keep the temperature at below – 275 °F (-170 °C). 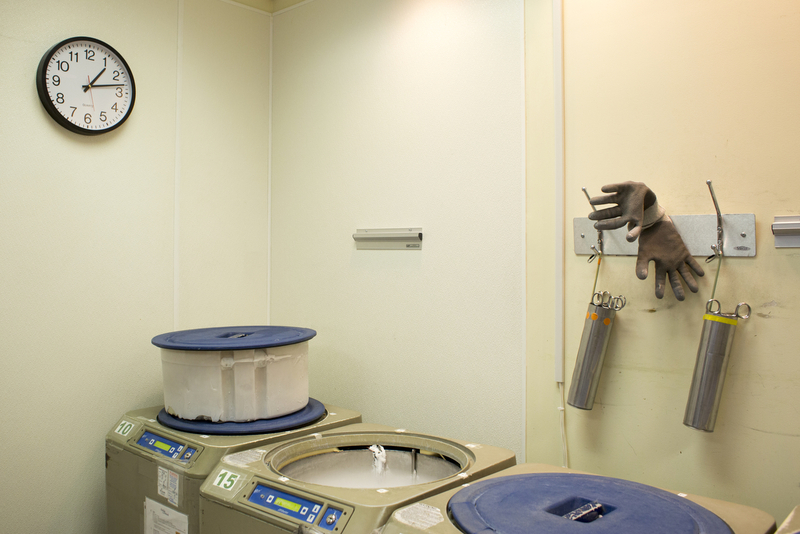 And though these tanks look like refrigerators, they don’t store frozen pizza but frozen sperm. “I hope you brought something warm,” said Eileen Rockefeller after we had sat down for an interview for a Capital series about the world’s most famous families in business history. 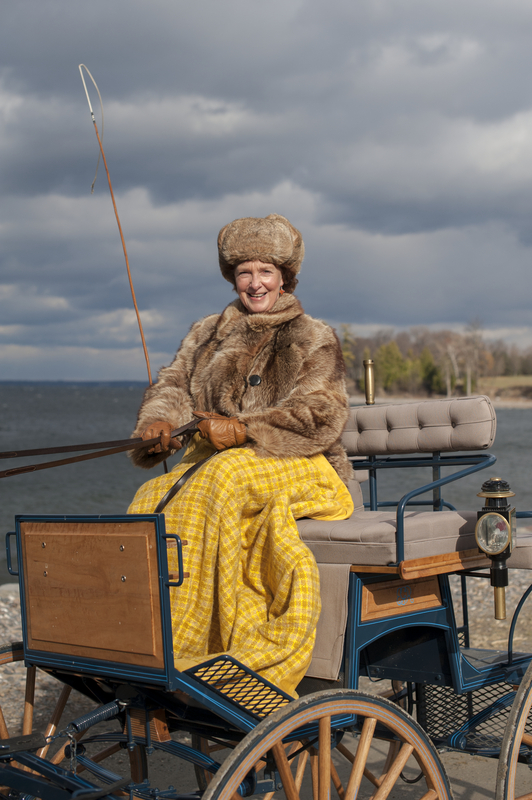 A chilly November wind was blowing around her white farm house, but for John D. Rockefeller’s great granddaughter, the weather is never an excuse not to take the horses for a ride. For visitors who come unprepared, she can provide spare coats, hats and gloves. Not just the Washington Post is updating itself as I wrote in my previous post. As journalists, we all have to reinvent ourselves within a changing industry. In a fast-moving, connected world, we have to be able to use different channels to gather and convey information. Could there still be hope in the media industry? Two years ago, I was less than certain about that. (see the post I wrote after the death of my former newspaper, Financial Times Deutschland). Things have become more refreshing lately, for several reasons. If anyone has been wondering what I do for a living these days: A year ago, I took my first steps in television, working in the DC office of German TV station N24.